"Death toll has risen to 63," IG Kanpur, Zaki Ahmed told new agency ANI. 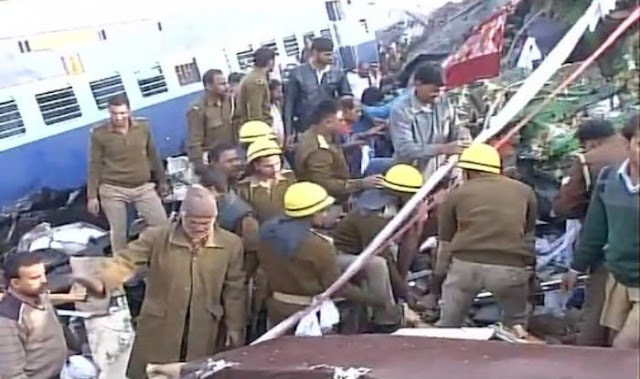 According to railways officials, the casualties could rise as the rescue operations are under way. "Over 150 injured people have been rushed to nearby hospitals in the area. All hospitals have been asked to be on alert. More than 30 ambulances are pressed into service," the IG said, adding that over 250 police officials are helping carrying out rescue and relief operations. Railways ministry spokesperson Anil Saxena said several people have been rushed to nearby hospitals with injuries, and the casualties may go up. Northern Central Railways spokesperson Vijay Kumar said that doctors and senior railway officials have reached the spot. Rescue and relief operations were being carried out by district administration and railway officials. Though the cause of the derailment was not known immediately, sources said the nature and timing shows that the accident was caused by a rail fracture. However, the exact reason would be known only after an inquiry. Buses are pressed into service to help passengers complete their journey, Kumar said, adding that the S2 coach was severely damaged. Four AC coaches have also been derailed. Railways has also released helpline numbers - Indore- 07411072, Ujjain- 07342560906, Ratlam- 074121072, Orai- 051621072, Jhansi- 05101072, Pokhraya- 05113270239. Prime Minister Narendra Modi has expressed grief over the loss of lives in the incident. "Anguished beyond words on the loss of lives due to the derailing of the Patna-Indore express. My thoughts are with the bereaved families," he said in a tweet.The Prime Minister said that Railway Minister Suresh Prabhu is personally monitoring the situation. "Prayers with those injured in the tragic train accident. I've spoken to @sureshpprabhu, who is personally monitoring the situation closely," Modi said. Union Railway Minister Suresh Prabhu tweeted that an inquiry has been ordered into the accident and that strict action will be taken against all those responsible. "Senior officers ordered to go to spot immediately, they are on their way to the accident site. Local MPs, MLAs other functionaries have also rushed to the spot. Railways, district, state, NDRF teams are geared up to deal with the accident & offer all kind of help. We are doing our best to deal with sad accident," he said. 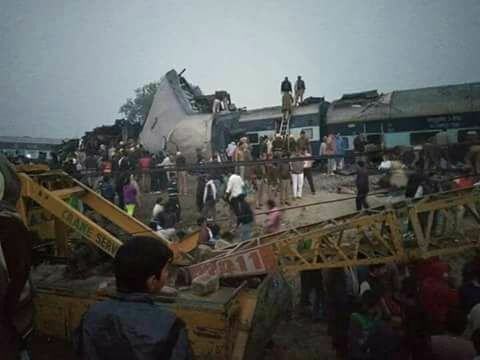 The Union Minister further said that ex-gratia will be announced for the unfortunate passengers who lost their lives and also to those who were injured. "All rescue relief work on to deal with unfortunate accident. All medical and other help rushed. Inquiry ordered. 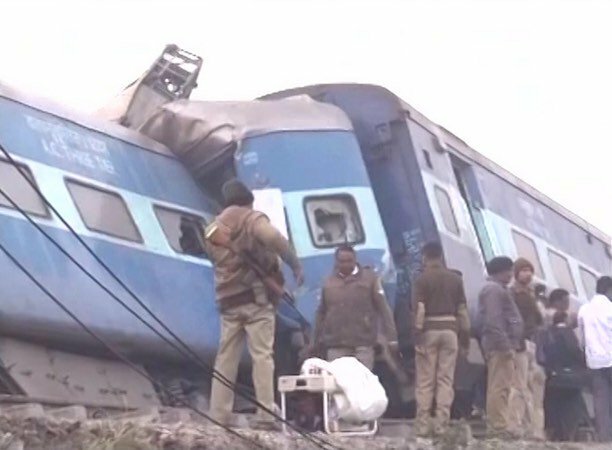 Situation monitored closely," Prabhu said in a tweet. Meanwhile, Home Minister Rajnath Singh offered his condolences saying he was deeply pained by the loss of lives and that his thoughts are with the bereaved families. "I have spoken to DG NDRF and instructed him to rush NDRF teams to Pukhrayan. He is also leaving for Pukhrayan to oversee the rescue ops," Rajnath tweeted. Uttar Pradesh Chief Minister Akhilesh Yadav has directed the Director General of Police (DGP) to personally monitor the relief operations.